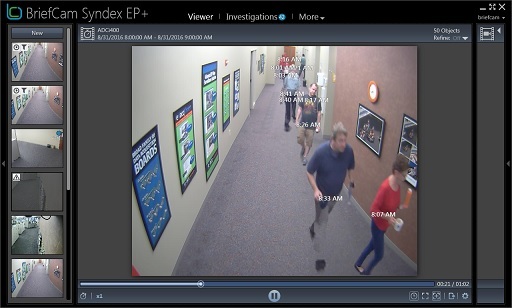 exacqVision has integrated with Commend intercom systems for unified audio and video recording. Commend camera equipped call stations and add-on camera modules support exacqVision video management systems (VMS) software. Commend Intercom Solutions including stations, modules and servers for integration of speech, image and data can be found in control rooms throughout the world for increased security. For example, help and emergency call points for transport solutions, controlling barriers in car parks and controlling lifts in buildings. 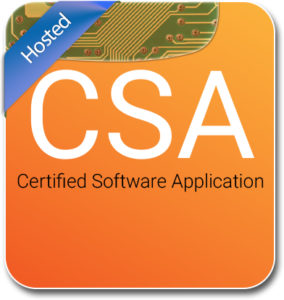 This integration requires exacqVision 8.0 or later and Commend software package version PRO2.1 or higher, Commend CCT800 utility 5.0. Commend is also integrated with Software House CCURE 9000 and AC2000 access control system. View the integration guides and learn more. Exacq announces a new integration with BriefCam Syndex video synopsis. 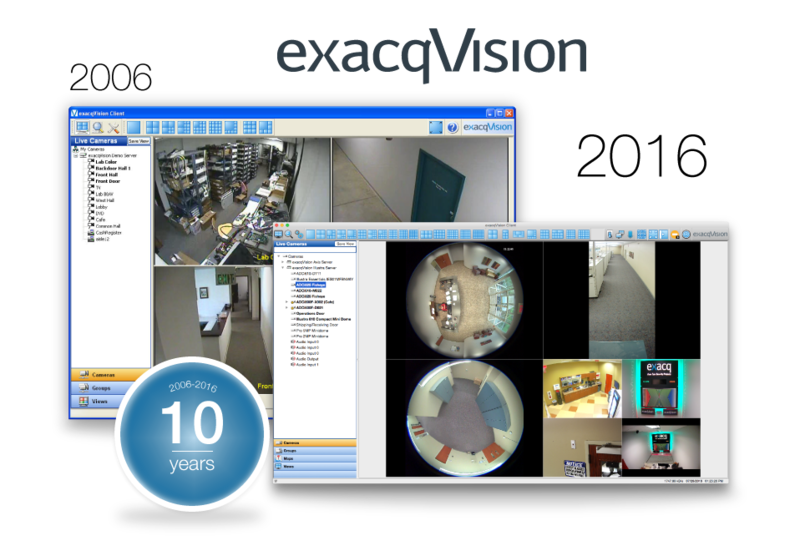 exacqVision users can review and analyze a day’s worth of video in minutes through one interface. 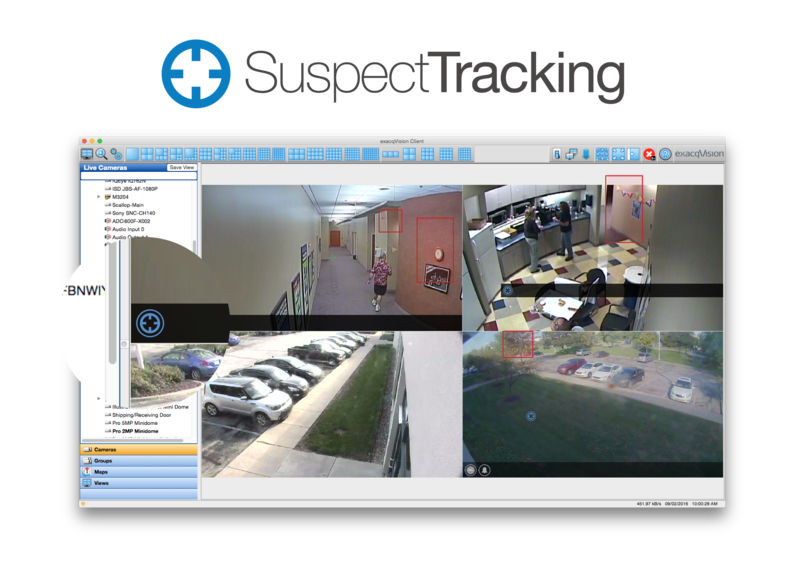 Briefcam gives exacqVision users a method to rapidly review view, search and analyze events occuring over a period of time quickly. 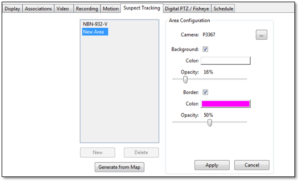 BriefCam separates the dynamic, moving objects from the static background to determine relevant distinct objects on the screen. Learn more about how Syndex works. 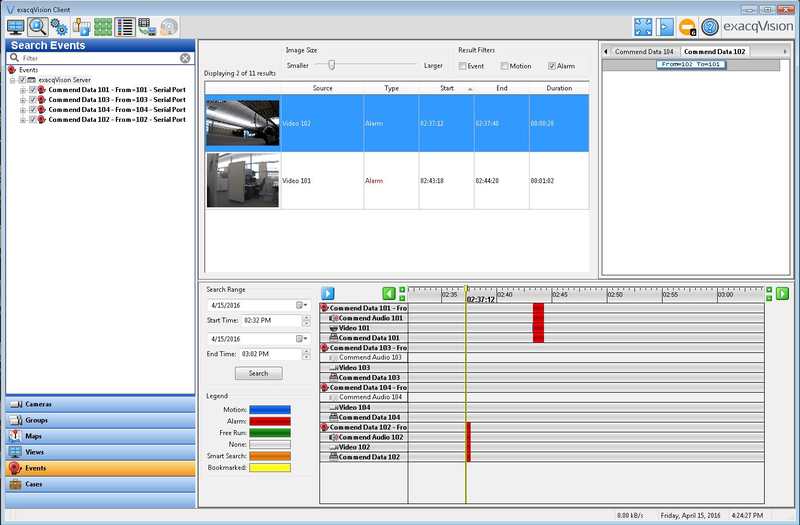 Save money and rack space by installing BriefCam Syndex on an exacqVision A-Series or Z-Series recorder as an approved Certified Software Application. 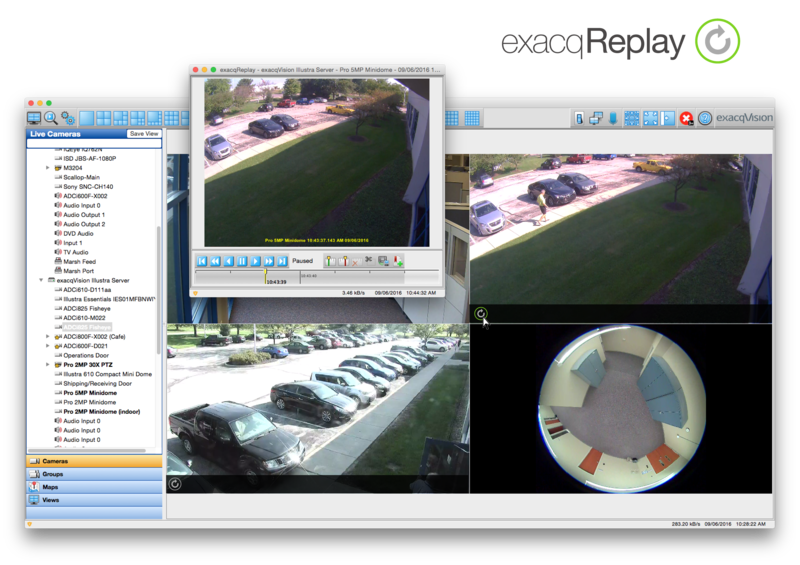 Exacq has tested and approved BriefCam Syndex software to run properly on an exacqVision NVR simultaneously with the exacqVision server software. 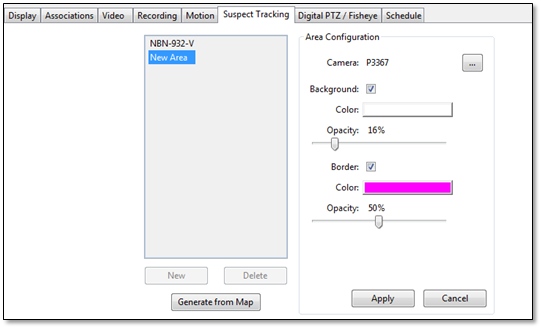 This integration requires exacqVision 7.8 or later. Learn more about this integration on our partners page. If you have questions, contact your local sales representative. 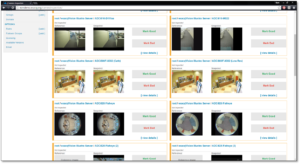 Hartmann Controls develops the protector.net access control system, a web-based software utilizing the latest Microsoft Technologies for users to administer access control from any browser-enabled device. 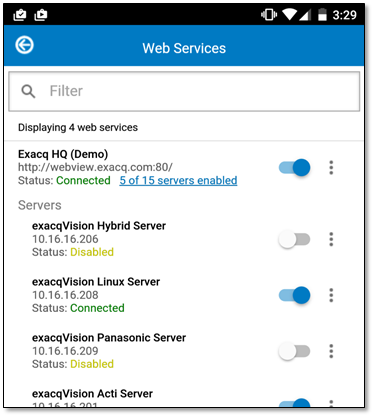 This integration requires exacqVision version 7.8 or later with a current exacqVision Professional or Enterprise license using Protector.net version 2.7. 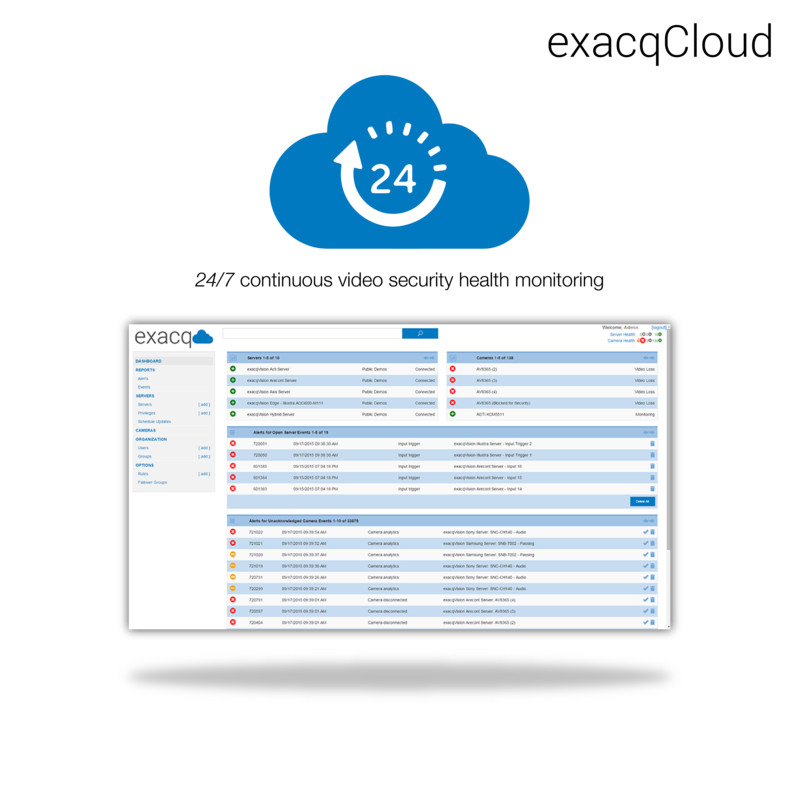 To learn more about configuring the integration, visit our access control integration page. 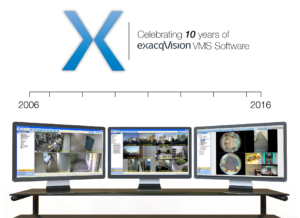 Exacq introduces Jeff Munson as the new Area Sales Manager for exacqVision network video recorders, video management system VMS software and Illustra IP cameras in Texas, Oklahoma, Louisiana and Arkansas. 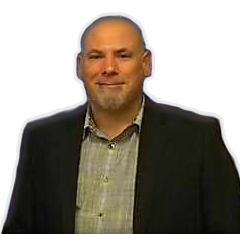 Jeff brings more than 20 years of security industry experience. Most recently, he was a regional sales director for a video products manufacturer. If you have any Exacq questions, please contact Jeff. While some college students are traveling or working on their tans, others are embarking on an internship. This summer at Exacq we welcome four interns to our 12-week hands-on program. And by intern, we do not mean coffee maker, our summer intern program gives students the opportunity to apply their classroom training and specialized skills to real world projects. Flynn is working with our product integration team this summer. He’s an electrical engineering major and has participated in audio engineering and acoustical club, Purdue Bitcoin Club and WCCR Radio. Flynn chose to intern for Exacq because of the positive interaction he received from our Exacq employees. He appreciates how we train our interns, and how we don’t make him do the “grunt work.” Flynn also enjoys the hands on nature of his work, giving him a real feel of how a career in electrical engineering works. Flynn currently plans to pursue a career in electrical engineering after graduation in the spring of 2018. Luc is working with our web/mobile team, and is computer engineering major. Luc is a local to Fishers Indiana, and alumni from Fishers High School. Luc has a fondness for the outdoors and participates in the Outdoor Adventure Club. Luc chose to intern at Exacq because he enjoyed the positive professional culture within Exacq, as well as experience new technologies and frameworks outside of his current curriculum at Dayton. After Luc graduates, he wants to continue to work in the field of software, where he can work with multiple different technologies and see the results of his work. Luc plans to graduate in the spring of 2017. Mark is working with our Enterprise team. He is computer engineering major and a member of the Purdue Water Polo team, as well as participating in Purdue Web Development. 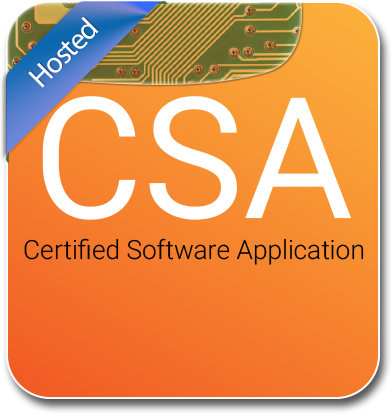 Mark has always wanted to work in the field of software development. He knew Exacq would provide him with the training necessary to pursue his dream. Mark also wants to have a professional software project under his belt before graduation, and knew Exacq could provide him with the best opportunity to achieve his goal. Mark plans to graduate in the winter of 2017. Tim is working with our Marketing team. He is a Graphic Design major and a member of the Franklin College Football team. He is also the treasurer for his fraternity: Lambda Chi Alpha. Tim chose to work for Exacq, because of the positive culture of the company as well as the opportunity to work professionally as a graphic designer. Tim wanted to be challenged to do actual work for the company, and knew that Exacq could provide him with that challenge. Tim plans to continue to pursue professional work as a graphic designer after he graduates in the spring of 2017. We are excited to build future talent and foster innovation this summer with our interns! Welcome to Exacq. If you’re interested in working for Exacq Technologies, check out our complete list of job openings. PSA Security Network, the world’s largest electronic security cooperative, announced its 2016 PSA Vendor and Customer Service Awards at PSA-Tec. Exacq received the Star Award for its exceptional service, support and growth in the PSA community of integrators. These awards are selected by PSA owner companies based on rankings for pricing, shipping, support, lead generation, returns and product performance. Paul Ngimat, Global Order Entry Account Representative, was presented with the Customer Service Individual Award. This is the second consecutive year Paul has won the award. 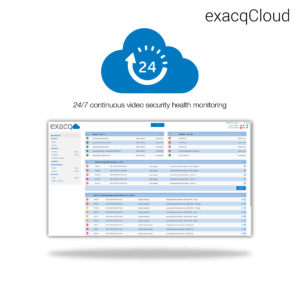 Exacq Technologies and Tyco Security Products hold service at the highest level for our customers. Congratulations to Paul on receiving this award and thank you for always going above and beyond to help the PSA team and provide PSA integrators with exceptional service. 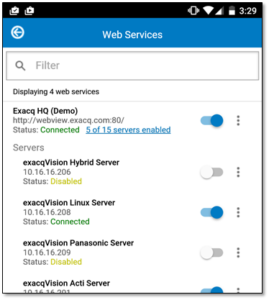 If you missed PSA-Tec’s weeklong educational sessions, product trainings, networking and vendor exhibition, see what you missed with our complete security solution or latest features in exacqVision 7.6. You can also attend one of our training sessions. Thank you to PSA for being a long-standing partner and industry leader.